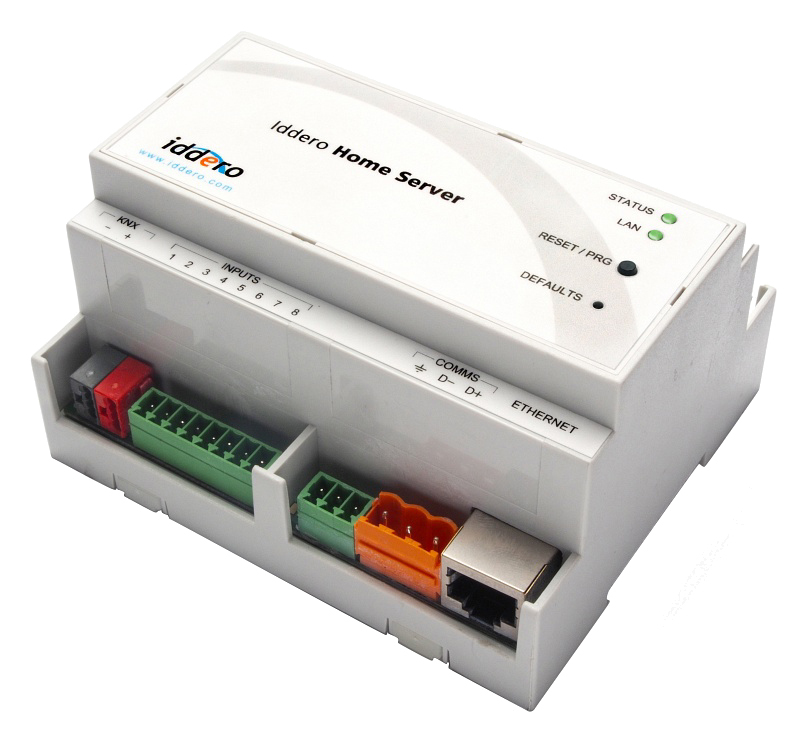 Compact home automation server for visualisation and control of KNX installations from a smartphone or tablet (iOS, Android, etc. ), or from any device equipped with a supported web browser. Includes 8 multi-function inputs: 4 binary inputs, plus 4 configurable binary or temperature probe inputs. 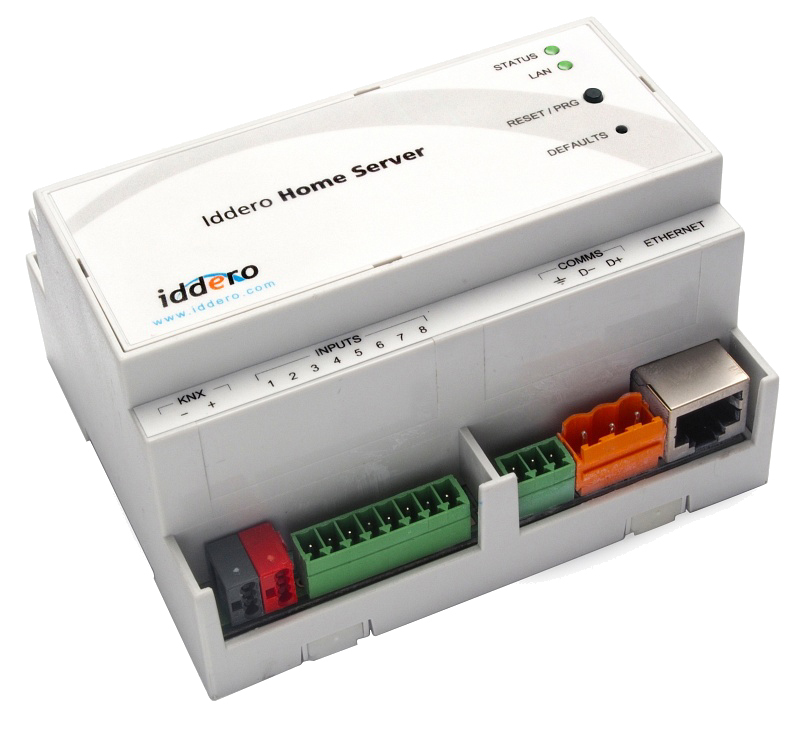 A complete solution for control and monitoring of KNX installations, with all the functionality you need, and an intuitive, user-friendly visualisation.